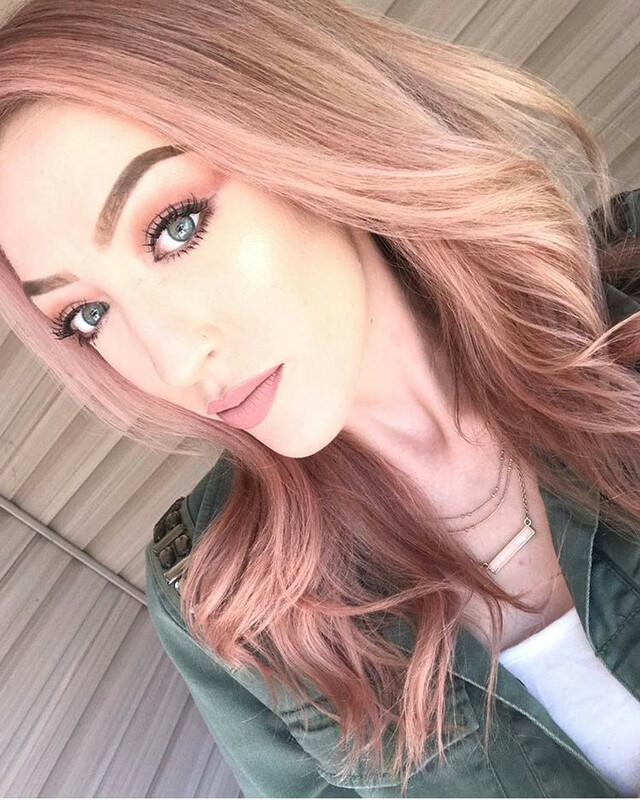 Rose Gold Pink Blonde hair color, and haircut at Vamp Salon LLC by TIGI Copyright hair stylist Katie Miller. Katie draws her inspiration from nature, she then custom formulates this truly unique TIGI Copyright Colour. It’s all about rose gold this year, and this playful technique from TIGI® totally delivers! This warm blonde mixes rosewood, sandalwood and rose quartz shades for a multi-tonal effect, and can be personalized for each of our clients by adapting the tonal palette and the size of the sections to create a fluid and dramatic effects. TIGI products maintain your hair color and protect your investment in your hairstyle.